postdoctoral training in mathematical sciences. 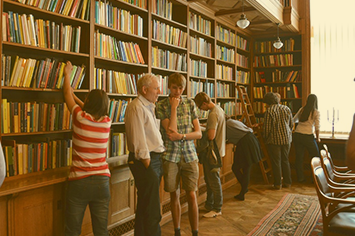 It was founded in 1916 by Professor Gösta Mittag-Leffler and his wife Signe, who donated their magnificent villa, with its first-class library, for the purpose of creating the Institute that bears their name. The Institute, the oldest Mathematics Research Institute in the world, operates under the auspices of the Royal Swedish Academy of Sciences but enjoys great autonomy. 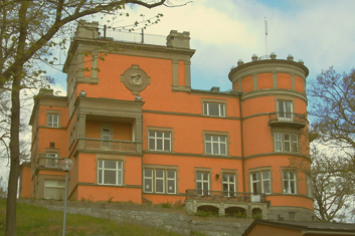 The premises of Institut Mittag-Leffler encompasses several buildings on a park-like estate. The main building, originally the home of Gösta and Signe, is a beautifully preserved villa in the art nouveau style. In addition to the library, the building houses a lecture room and offices for staff and participants. The mission of Institut Mittag-Leffler is to support international top-level research in mathematics, with special attention to the development of mathematical research in Nordic countries. It also has a responsibility to serve as a contact and link between mathematicians in the Nordic countries as well as the international research community. 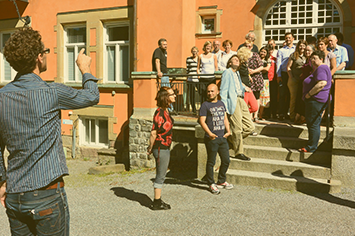 Major activities of the Institute include research programs, conferences, workshops and summer schools. The Institute is responsible for publishing two research journals, Acta Mathematica and Arkiv för Matematik. Acta Mathematica was founded by Gösta Mittag-Leffler in 1882 and is one of the most prestigious mathematics research journals in the world. Arkiv för Matematik was founded 1903 and since then became a high quality research journal.